Hekia Parata has been misleading Parliament again and showing how biased she is in favour of her beloved charter schools. During Oral Question time in Parliament (2 July 2015) Hekia promoted the NCEA results of one of her charter schools, Te Kura Hourua o Whangarei Terenga Paraoa, using the school’s recently released annual report to the public. The school had been under scrutiny for accumulating a surplus of over $2.5 million in only 15 months of operation. But that’s another discussion to be looked at in more detail shortly. Hekia wanted to praise the school but the pass rates she quoted were all “Participation Based” pass rates and not “Roll Based” pass rates. The difference is known to those who are familiar with the NCEA system and the vagaries of how many credits students are actually enrolled for in any academic year. A series of articles on NCEA pass rates, including discussions around the possible ability to manipulate the published rates, was published recently through the Fairfax media outlets. The article, titled “Tougher NCEA pass rate measure pushed by Minister” and dated 6 July 2015 on stuff.co.nz went on to say that Education Minister Hekia Parata says she is “absolutely unmovable” on the Government using roll-based NCEA results. Until, that is, one of her beloved charter schools is involved and the spin doctors take over. 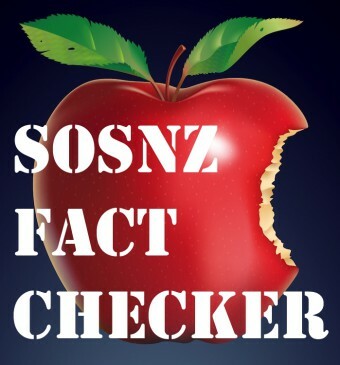 Unfortunately, with the shroud of secrecy that surrounds the charter school initiative and the distinct lack of transparency around these schools, it is difficult to ascertain the truth around the different NCEA pass rates for Paraoa and the other charter secondary schools. A data request to NZQA, asking for confirmation of the actual numerator and denominator figures used in calculating both the participation and roll based pass rates, was met with a refusal! NZQA stated the need to protect the privacy of individuals – even to the extent of hiding whole school pass rates. Instead, NZQA responded by presenting data that was randomly rounded to “Base 3”. This methodology is used when working with small cohorts and means that any data cell could contain a number between, say 0 and 3, without the user knowing exactly what the actual figure really was. So, you see what the problem is: we can only estimate the % pass rate at, say, Level 2, as being 6 out of 12 or 50%. But because the data has been rounded, the real answer could be quite different. Interestingly, NZQA also rounds off the denominator, which should be the roll count. Usually for NCEA purposes, this is the 1 July roll return head count figure. We know from other data returns that, as at 1 July 2014, the roll return figures were 11, 11 and 3 for Years 11, 12 and 13 respectively. (Yes, that’s right and highlights again just how small these charter schools really are). So we can see how the actual rolls of 11 and 11 for years 11 and 12 respectively have both been rounded off to “12” in the achievement data report. So, who knows? Maybe the actual current year pass rate was 6 out of 11 Year 12 students, or 54.5%. But will we ever really know? Now there’s also a difference here between “current year” and “cumulative” achievement, which you need to be careful about. And don’t forget the even more significant impact of students accumulating credits in “unit standards” rather than in the more academic “achievement standards”. Charter schools will no doubt aggressively market their “stunning” academic success, as one high profile charter school did so earlier this year. So, who is going to hold the Minister accountable for being “absolutely unmovable” on this issue, as she said she would be? And where is the “fuller picture” on charter school achievement information that we are clearly lacking?